But despite my moaning and groaning, when it comes right down to it I love late Fall. Yes I love, LOVE the fall color but I also have a soft spot for the plants that I refer to as ‘sleepers’. They are the plants that you walk by at the garden center and don’t really pay attention to because they tend to be plain green in the summer, they don’t have spectacular flowers, they tend to look a bit wild instead of nicely manicured, their fall color may not be great (heck, it may not even exist), and to top it off not all are especially deer proof. In a nutshell they are basically what every homeowner is NOT asking for at the garden center. Don’t let all the negatives deter you though! These plants are spectacular for one reason and one reason alone. When every other plant has thrown in the towel and proclaimed another season down, that’s when these ‘sleepers’ wake up and say ‘hello world, look at me now’! ‘Berry Heavy’ is a deciduous holly that produces an abundance of bright red berries in the fall and winter. 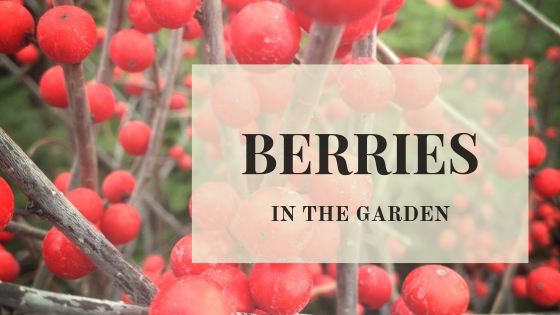 With numerous tall varieties of Winterberry Holly like ‘Sparkleberry’ (8’-10’) and shorter varieties like ‘Red Sprite’ (2 ½’ – 3’), ‘Berry Heavy’ is the happy in between at an average of 5’ tall. While Winterberry Holly are very low maintenance and loved by most (the birds will thank you), they do not like being single so make sure you have a boy somewhere in your yard! Unfortunately Juniper has had a bad rap for many years now. But let’s face it, if you want a tough, reliable, low maintenance evergreen this is it. Canaerti Juniper is a compact cultivar of Eastern Red Cedar (the evergreens you see growing out of rocks on the side of the road and seem to never die) that will reach 20 feet in 15 years. Their hardiness and adaptability is not why I love them though, for me it’s all about the berries! Canaerti produces a profuse amount of blue berries that truly shine in the winter. If you love to decorate for Christmas – you need this plant! Beautyberry begin to fruit earlier than most berry producing shrubs and while this small (3’ – 4’) variety will shine in September and October instead of December it is certainly worth adding to your garden. These violet berries will rival any summer flowering shrub as far as I am concerned. When Beautyberry is planted in mass you can expect a truly stunning display! Not to be outdone by its predecessors this beauty starts putting on its spectacular show in September and persists into winter. 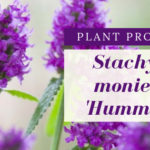 This evergreen (semi-evergreen to deciduous in St. Louis) boasts glossy green leaves in the summer, needle-like spines and profuse flowers in the spring. Pyracantha is great in dry conditions and makes an exceptional impenetrable hedge.